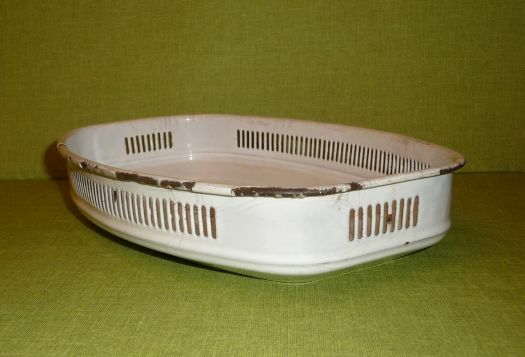 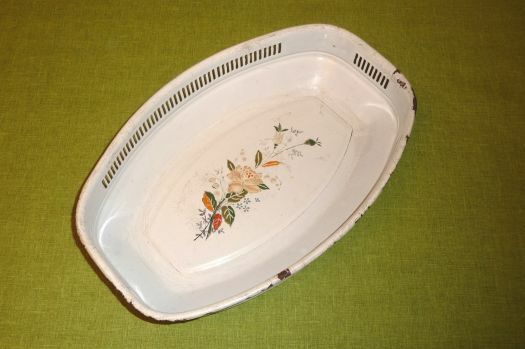 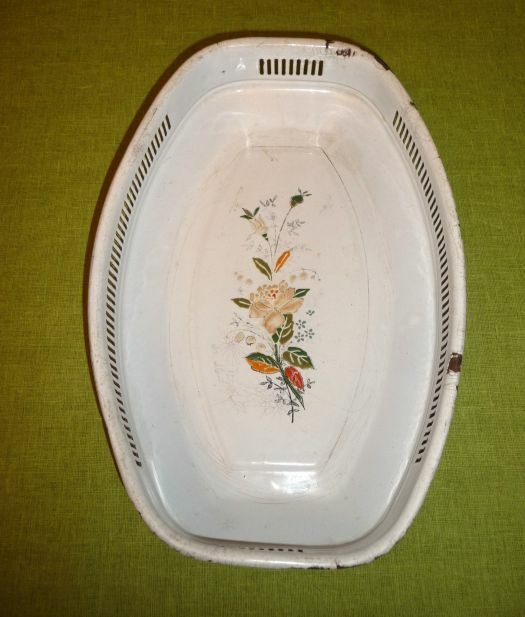 Nice bread basket, classic shape, which has been damaged. 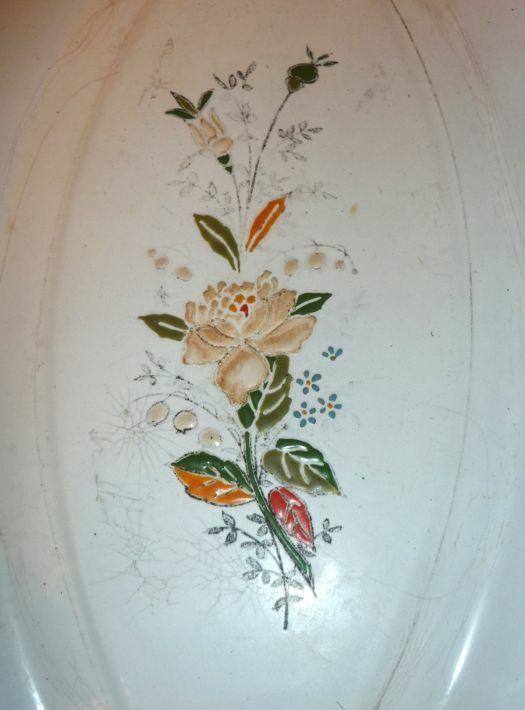 There are some chips on the sides ; the raising flowers have been discolored and the enamel is not bright. 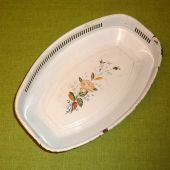 29 cm x 19,4 cm.